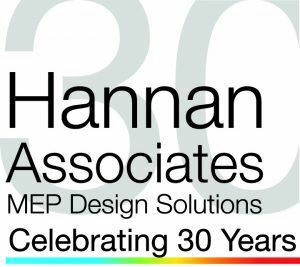 Hannan Associates was established in 1983 as an engineering consultancy providing building services design solutions to the construction industry. We provide a variety of services from full MEP Services Design down to a standalone BREEAM Assessment, all dependent upon the unique requirements of each of our clients. We are committed to creating successful buildings through attention to detail utilising our breadth of experience, technical skills and with levels of personal attention not provided by our competitors. Each project is approached without pre-conception, creating an environment for innovative design solutions. Value engineering and minimising energy use are constant themes in our work and through clever design our clients benefit from low capital, running and maintenance costs. Adopting a commercial approach to design strategy, together with the careful usage of the latest technologies and sustainable design has ensured that 80% of our turnover is achieved through repeat business. The company adopts a highly collaborative and sharing approach to projects with the goal of achieving well integrated high performance buildings. We are committed to ongoing research and development and we are now working to BIM Level 2. Our vision is to be widely recognised for excellence in the formation and implementation of MEP Design. We believe in developing personal connections with all our clients by understanding their own individual needs, and using our engineering skills and commercial awareness to deliver genuine benefits. We continue to ask ourselves “how can we make a difference” and strive to deliver buildings that provide the required internal environment and level of services, with the minimum energy usage, in a cost effective and environmentally sensitive manner. We strive to create a sustainable future.